Membership Makes It Easy To Boost Your Online Profits! 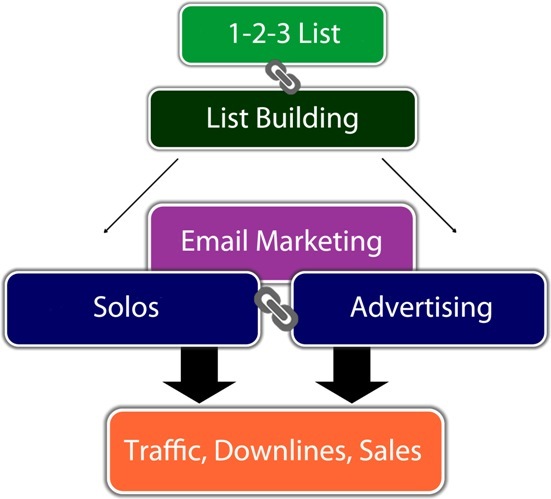 1-2-3 List Members Are NOT Incentivized To Read Emails & Ads. We DO NOT, Never Have & Never Will Offer Money For Reading ANY Ads At The Site. This Is NOT a PTC Site. You Can Only Earn Money At 1-2-3 List By Marketing Properly, There Are No Freebies Here. In fact, you can start emailing up to 3058 prospects right away. P.S. Act fast because we DO know how much longer we can give away the $250 worth of advertising. ONLY the next 1000 members to claim will receive this bonus (as the first 1000 have already redeemed the original $300 code). After 1000 more have been redeemed it will be reduced again. Note: At 1-2-3 List we have a strict policy concerning bouncing emails and regularly delete members whose emails are returned to our email server as non-deliverable. To that end the number of members may fluctuate up and down, but it does mean that your emails are going out to people who can receive them (we don't have a large number of undeliverable addresses in the database like most sites). Note: This is NOT a multi-level-marketing site (MLM), matrix, pyramid or ponzi scheme, get-rich-quick scam or anything resembling that kind of site. This is a ONE-TIER commission-based advertising and information site only. This is NOT a PTC site, you cannot earn money just by reading ads and emails. We do not guarantee you will make any money with 1-2-3 List because, as with anything marketing related, it is entirely down to how much time and effort you are willing to put into it that determines how much you get out of it. There is NO SUCH THING as a get-rich-quick scheme.